Silver medalist as part of the Canadian national hockey team at the 1998 Nagano Winter Olympics who achieved several firsts in the game of hockey including being the first and only female to play in an NHL game. She was the first woman to appear in a men's Junior A hockey game when she signed with Trois-Rivières Draveurs of the Quebec Major Junior Hockey League. 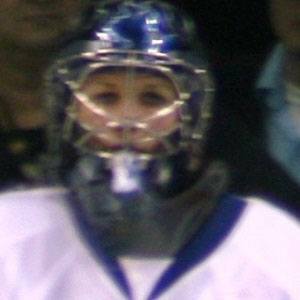 She played in two exhibition games in her NHL career against the St. Louis Blues and Boston Bruins. She was married to a roller and minor league hockey player named Gerry St-Cyr. She made an appearance as herself in the TV movie A Beachcombers Christmas alongside Tiger Williams.